Designed and developed completely in Australia, the Water Tube™ is both an eco-friendly and a commercially viable method of watering plants. The walls of Water Tube™ hold a whole month’s supply of water and establish a micro-climate that promotes growth in young trees. They are as effective as they are easy to install – simply insert three stakes and wrap the Water Tube™ around your plants like any ordinary plant guard. Simply insert the supplied drip coil as indicated and fill with water. Water Tube™ drip-feed water to the plant’s root system, cool plants in summer, warm them in winter and protect them from animals. They are constructed from tough, durable material and use a fraction of the water than the more traditional methods of watering. They target each plant precisely, minimising run-off, reducing the need for labour and generating massive savings in the indirect costs related to watering equipment, transport and human resource costs as well as the direct reduction in water costs. Water Tube™ employ a unique, adjustable, coil dripper designed to slow the drip rate down as the water level in the Water Tube™ decreases. Therefore, plants have to grow in search of new water sources, improving their chances of survival. This means that Water Tube™ could help you grow plants up to four times quicker, reducing hours spent irrigating by seventy five per cent and increasing your yield by up to a staggering 300%. Simple, tough, and tested to extreme temperatures, Water Tube™ offer exceptional value for money considering they can pay for themselves within a fortnight due to the size of the savings, being up to five times cheaper than the usual black pipe and pump watering apparatus. With the positive effect they will have on your ledger, your plants, labour and water costs, as well as the goodwill of your clients and your environmental contribution, Water Tube™ are practically priceless. Furthermore, Water Tube™ offers a substantial opportunity for companies to utilise our corporate branding feature. 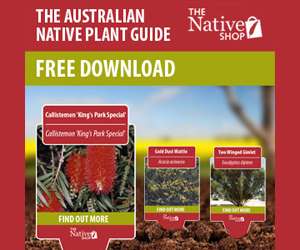 The advertising potential of Water Tube™ can be harnessed by printing Water Tube™ with your corporate logo, and having a field of native Australian plants and trees wrapped in your corporate brand. Find out more here at The WaterTube™ microsite. 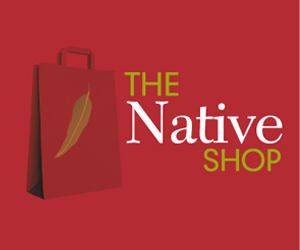 The Water Tube™ is available for purchase at The Native Shop.